Stephen Klein has created a boutique real estate firm that, for the past 30 years, has functioned as developer, general contractor and property management entity. In the past, Klein has developed condominium conversions on the Jersey shore to single-family home communities, and transformed mid-rise office buildings to a golf and banquet facility in Lansdale, PA. 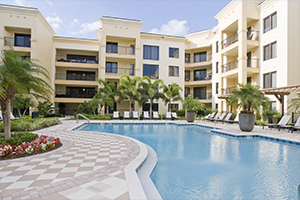 Nonetheless, Klein’s forte is developing luxury, multifamily rental housing. Today, the organization is responsible for the management and development of more than 3,000 multifamily rental units. Prior to starting his company, Klein began his legal career as an associate with Blank, Rome, Comisky, and McCauley, specializing in mergers and acquisitions. He holds a bachelor’s degree from Pennsylvania State University, is a graduate of Temple University’s Law School, and received a graduate law degree in taxation from New York University. Klein has been recognized for his contributions to both business and local communities.